RBG, a provider of assess, inspect and repair (AIR) services to the global energy industry that was recently acquired by Stork Technical Services, has appointed Ian Henderson as president of its Kazakhstan business unit. RBG has operated in Kazakhstan since 2006 and Henderson is responsible for leading and growing the company’s in-country operations. Working with clients such as Ersai, Keppel, Saipem and Bonatti, RBG has established an excellent track record, providing integrated support services and the company plans to expand its presence and service offering across the country. Mr Henderson will operate from RBG’s base in Aktau City, Kazakhstan. 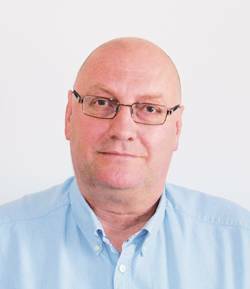 Henderson joined RBG in March 2011 as commercial manager and has more than 20 years experience in the oil and gas industry. He has worked in a wide range of senior project, contract and commercial positions for companies such as Statoil, FosterWheeler and Halliburton, delivering major projects across North Africa, the Middle East and North Sea. Mike Kochalski, international director, RBG, said: “I am very pleased to welcome Ian to our team. His experience, industry knowledge and technical expertise makes him a great asset to the company. Kazakhstan is one of our strongest growth areas and I am confident Ian’s appointment will see the area continue to flourish.